(a) Install the pedal pad. (b) Install the stop light switch cushion. (c) Temporarily install the stop light switch to the pedal bracket. (d) Install the return spring with cushion and pedal pad. 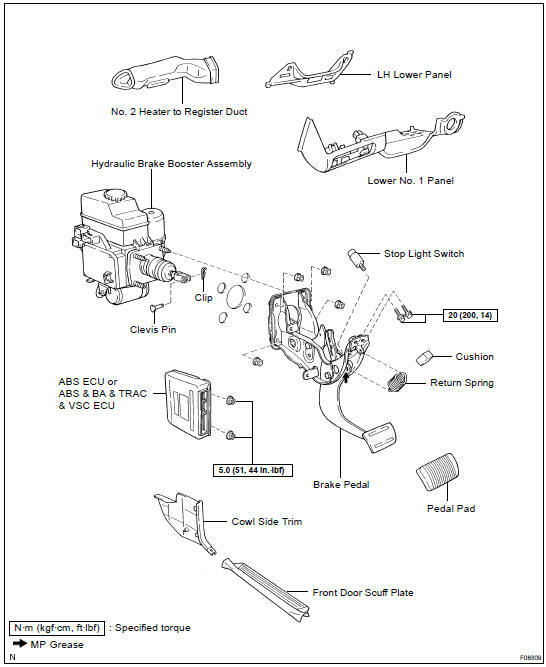 HINT: Apply MP grease to the parts indicates by arrow ( BR-1 1). Install the brake pedal assembly and temporarily fasten the 2 bolts.